Press the button at the entry gate and take the paper ticket as directed (do not scan ticket at this time). Select the ‘Pay’ button on Confirm Payment screen to submit payment from your EasyPark Mobile account (The screen will then display a gate opening screen with a 15 minute countdown timer). Proceed to the exit of your choice (before this timer expires). Once at the gate, select the desired gate code/number (for example, at City Hall, A = Victoria Street; B= Wesley Street) from the Gate To Open drop down list and press the green “Open” button. Note: you should ONLY press the “OPEN” button once you arrive at the gate, as a ticket is only valid for ONE payment/gate opening. Press “OK” to confirm “OPEN” gate. Note: before you confirm please check to ensure that the gate your arrived at matches the gate you selected on the App. If you experience any issues, particularly outside of normal business hours, please proceed to one of the City’s parking pay stations and submit payment as directed, and exit the parking lot using the City’s paper ticket exit system. 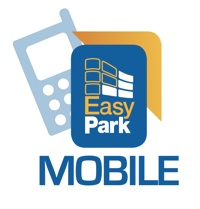 Where you initially paid and unsuccessfully opened the gate using EasyPark Mobile, and then consequently exited the car park using the City’s paper ticket system, please email ( support@easypark.bm) in order to obtain a credit. Note: All requests for credit MUST include a copy of the paid or validated related City paper ticket (with a valid ticket number), your name, your license plate number and a telephone contact number.